1.) Go to the Facebook page, group or application you want to suggest you to friends. Try on mypage SHARE IT TIPS . 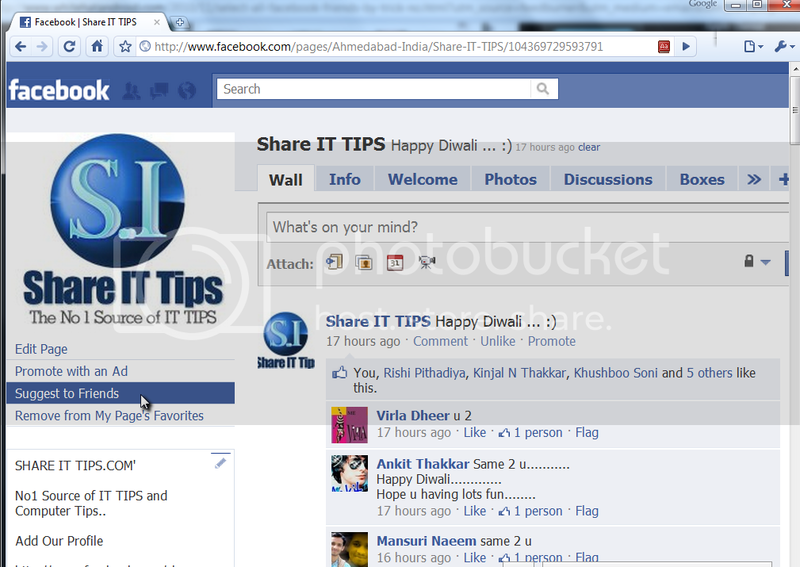 and click on “suggest to friends” link. 2.) A dialogue box will appear and prompt you to select friends individually and write a message(optional). replacing the previous address of address bar and hit enter. all friends selected at once . 3. 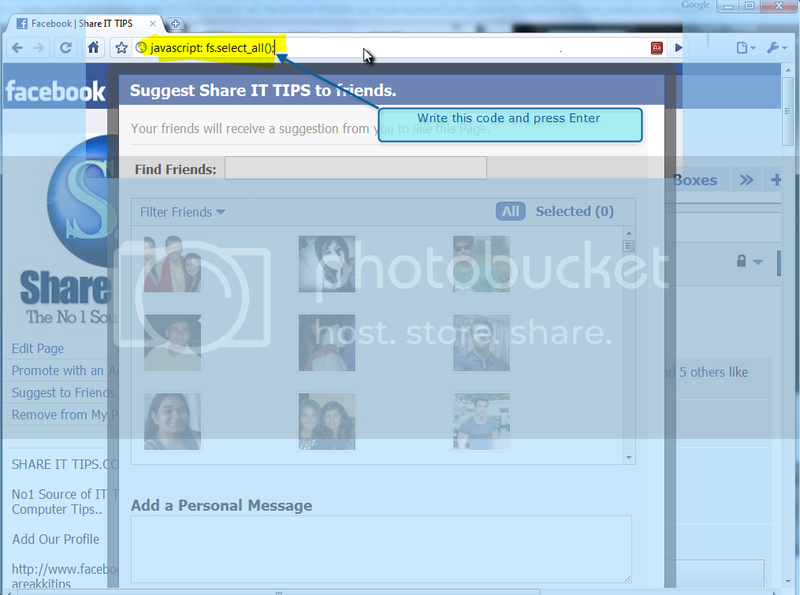 )Now click on send invitation button to share best stuffs to your facebook friends.Done .. If you like this tips and then join or share our page SHARE IT TIPS.